#FridayReads: What do Amy Poehler and Sherman Alexie have in common? 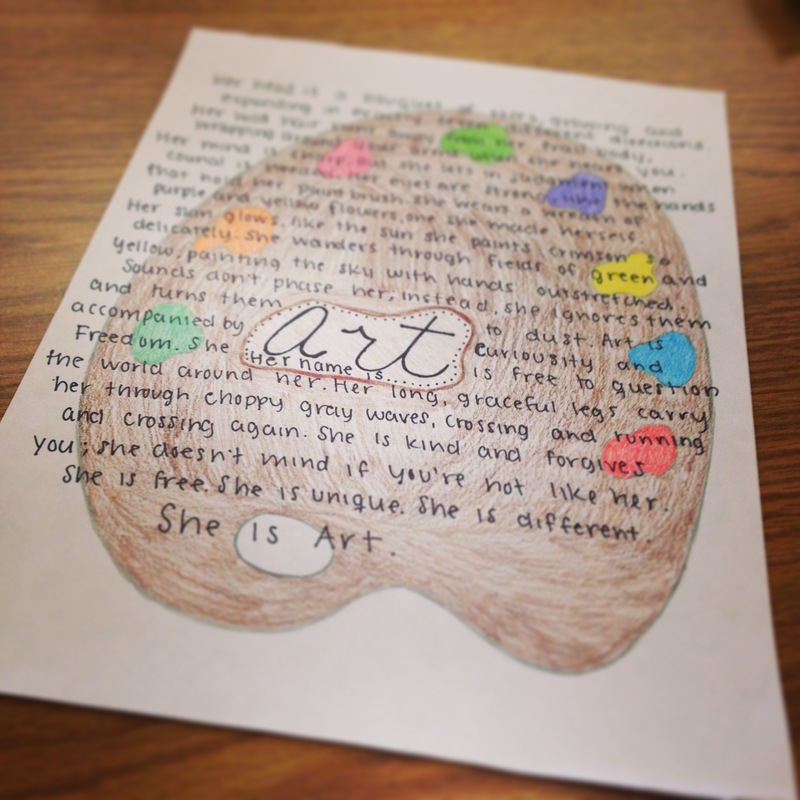 Personifying art–one piece from a student’s multigenre project. Both my students and I love funky writing—the weird eccentricities of modern print where authors dabble with a variety of fonts, writing styles, photographs, and formats. There’s something about that departure from the norm that draws us in, holds our attention, and keeps us reading just to see what is on the next page. In turn, when I began the multigenre project based on Tom Romano’s book Blending Genre, Altering Style: Writing Multigenre Papers, I knew I needed a new set of mentor texts to help guide my students’ writing. I loved sitting down to stacks of multigenre papers, and my students loved reading each other’s work. The problem was my students rarely had strong examples to guide them in developing the continuity that comes with one paper on one topic written through multiple genres. And so the search began. This year, one of my new classroom shelves includes “multigenre books.” The benefits are twofold: students will become familiar with the multigenre concept before even being introduced to the project and they will see the unique ways a wide variety of authors diversify their work. The greatest part is that multigenre writing extends across a variety of literary genres. 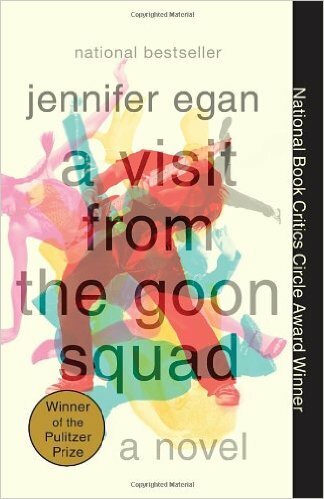 A Visit from the Goon Squad by Jennifer Egan—Has an entire chapter in PowerPoint slides. How cool! 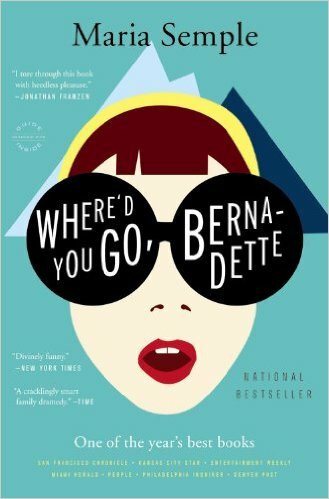 Where’d You Go Bernadette by Maria Semple—Amusing memos and e-mails illustrate character development and voice. The Absolutely True Diary of a Part-Time Indian by Sherman Alexie – Hilarious doodles, caricatures, and cartoons. One ofmy all time favorite books! Extremely Loud and Incredibly Close by Jonathan Safran Foer—Every year I have to assure a student that the red ink wasn’t a student’s bored graffiti; it really is part of the author’s the writing. In the Company of Whispers by Sallie Lowenstein – Includes family letters and black-and-white photographs. Eyes Wide Open by Paul Fleischman – Great use of infographics for research. Why We Broke Up by Daniel Handler (author) Maira Kalman (illustrator)—Not only is it written in letter form, but the letters are about individual objects, all of which are accompanied by gorgeous illustrations. The Art of Secrets by James Klise—Letters, articles, lists, and shifting perspectives keep you interested. Encyclopedia of an Ordinary Life by Amy Rosenthal—Rosenthal not only wrote a memoir in encyclopedia entries, but she also made reading encyclopedia entries fun. Yes, Please by Amy Poehler—There are two pages devoted to haikus on plastic surgery. What more is there to say? Your turn! What multigenre books might you suggest? What are some new shelves you’ll be adding to your classroom library this year? ← My Classes are Only 45 Minutes — How Do I Do Workshop? Excellent list!!! It’s hard to think of more…how about Like Water For Chocolate (lots of recipes), and the original inspiration for multigenre, Michael Ondaatje’s Billy The Kid? Thanks Erika! Love this–can’t wait to purchase it and add it to my new collection. Penny Kittle introduced our class to Revolution by Deborah Wiles – full with black and white photos of the 1960s civil rights movement, song lyrics intertwined within the chapters, primary sources, and much more. I love the idea of a multi-genre shelf, J. Thanks for the idea!